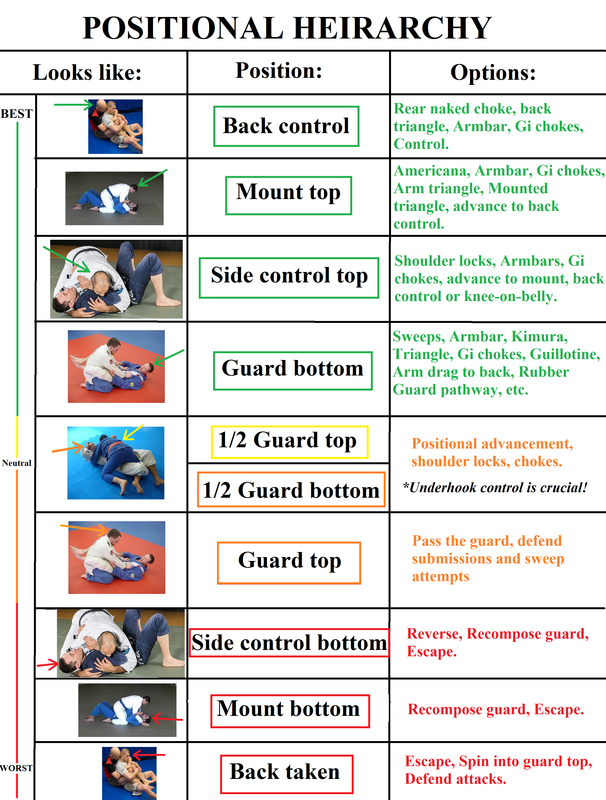 Want to learn the basic positions for Brazilian Jiu-Jitsu and their relative control advantage from best to worst? The following chart is a great guide for the beginner junior or adult practitioner. As always, please check in with your instructor for further details and curriculum questions.